Early this morning (1 Dec.), the Pulitzer Prize-winning International Consortium for Investigative Journalists (ICIJ) released an ICIJ version of Neo4j Desktop which includes the Paradise Papers and the other Offshore Leaks graph data. 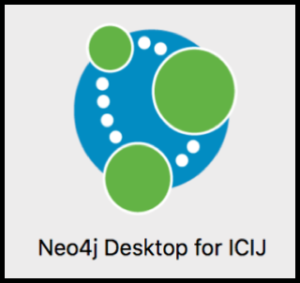 This desktop package – available for Windows, Mac and Linux – includes the Neo4j Graph Database, the Neo4j Browser tool with several interactive guides explaining the dataset and providing investigative Cypher queries to run against the data. If you’re not a developer, you can use the Paradise Papers Explorer graph application to examine the data by just searching the full dataset for shell companies and their officers without learning a new query language. 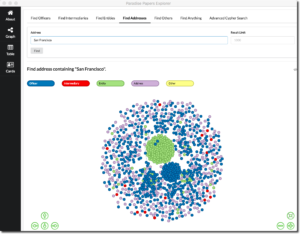 The interactive guide features our new Neo4j graph algorithms library and shows you how to perform PageRank on the graph of officers in the Paradise Papers. 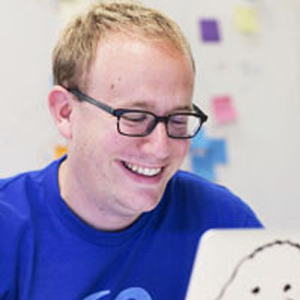 The Neo4j Graph Database – with its powerful capabilities for storing and querying connections – has been popular as a data journalism tool. Now, the ICIJ demonstrates the other capabilities of the Neo4j Graph Platform, including graph visualization, graph analytics and other apps. These features can be used to make it easier for journalists, researchers and everyone else to explore and understand complex data relationships. Thanks to the excellent work of the ICIJ team – including the Neo4j Connected Data Fellow Manuel Villa – for their great story highlighting the capability of graph technology with this release. The ICIJ data engineer Miguel Fiandor Gutiérrez thankfully led the effort to make the data available in its raw format and as the Neo4j Desktop package. If you’re a data journalist, apply to our Data Journalism Accelerator Program if you think graphs can help turn your data into knowledge graphs.